Review: I just saw the TIFF gala screening of this last night, and I think it deserves all the positive praise it will surely get. 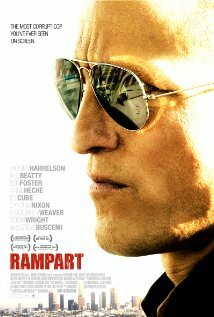 I enjoyed it from start to finish and think it was the role Woody Harrelson was born to play all his life. In the interest of not giving anything away, let's just offer this as the most positive praise. We now have a film which highlights how a Police officer can think he's always on the right side of the law, but has no conception of how wrong he is in life. I think everyone should see this film and that it should get a golden statue nod (depending on its release date once a distributor grabs it).